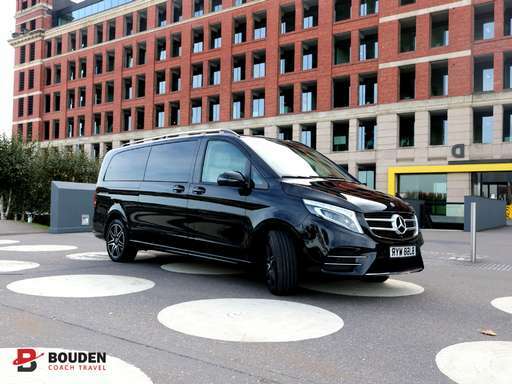 Standard vehicles are used for simple A to B journeys, these can consist of local trips, school visits, night out transport including stag/hen dos and charity events. They are cost effective and are great for journeys where luxury facilities are not necessary. Standard vehicles are just that – Standard. When you are looking for group transport facilities that are affordable our standard vehicle option is perfect for you. Our executive vehicles are our most popular form of transport, if you looking for something with a little style and comfort for your journey, but still cost effective our executive vehicles fit the bill. We have executive cars, minibuses, midi-coaches and full size coaches all available to fulfill your transport needs. Benefiting from high specification interior, CD Player and sound system, full/part leather seating adding that extra executive comfort. Tinted windows and climate control; our executive class vehicles are suited to a wide range of purposes including but not limited to airport transfers, sporting team fixtures, airline crew movement, race days, sporting events, weddings and corporate travel and hospitality. We are constantly investing in our internal systems and software, our executive vehicles are fitted with tracking devises, as well as vehicle specific SAT NAV’s. One call to our head office and you will know the exact location of your driver. We would highly recommend an executive vehicle for any travel requirement where comfort is a necessity, our vehicles will get you straight to your location in style. Perfect for corporate clients and special occasions such as weddings, celebrity/VIP travel, UK tours and race days. Our luxury vehicles will surely provide the wow factor your looking for, they are also surprisingly affordable given their amazingly high standards. With full/part leather reclining seats, climate control, CD player and sound system, top specification interior, TV/DVD Player, tracking devices, vehicle specific SATNAV’s, tables, fridges, PA system and much more. Our luxury vehicles are straight out of the showroom and have often been fitted with a custom interior to ensure that we are able to offer the very best in transport. Need more info about one of our vehicles? All of our vehicles are fully valeted between journeys to ensure that they are clean and comfortable. Undergoing our regular mechanical checks which not only meet but exceed those outlined and set by our governing body VOSA. We are proud to say that here at Bouden Coach Travel we are experts in all things transport. We are not just an operator we are a travel management solution here to help you.